Eid Ul Adha Prayer will be held at Blackhall Masjid on Tuesday 21st August 2018. The first prayer will be held at 7.00am and the second Prayer will be held at 9.30am and the third prayer at 11.00 Insha Allah. 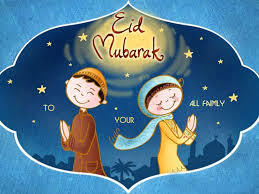 Blackhall Masjid would like to wish everyone an Eid Mubarak.